As we await the Senate to interr the dead, bloated carcass of the American Dream into history, I thought I would honor the 24 million people that will now have to begin smoking immediately to allow the SCHIP Law to run in the black while providing medical care to illegal aliens, and excluding 5 million American children. The absolute insanity of putting such a tax burden on predominantly low and middle income taxpayers because they choose to smoke instead of say, shoot heroin, is absolutely mind-boggling. 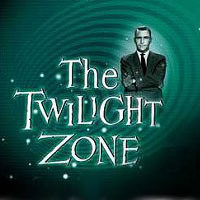 Our elected officials have now stampeded toward the door to the twilight zone, and I am personally hoping that Rod Serling is there to meet each and every one of them. In the meantime, here is someone as over the top as our Executive Branch, Legislative Branch, and Judicial Branch. OMG This is so funny. Thanks needed a good laugh! I couldn’t watch the whole thing. He talks too fast for me to follow. BTW is this nut any relation to Dr. Timothy Leary, the advocate of LSD? They’re both on the loony side.